After no-wave legends Liquid Liquid broke up in 1984, singer Salvatore Principato took some much need to time to revaluate his musical direction. Renting a studio on the Lower East Side with Ken Man Caldiera. It was there that they started their next musical project, Fist of Facts. In 1985 Ken Man showed up in the studio with this IBM AT computer. It had a 1/2 MB of RAM and some Voyetra software that could sequence music, becoming the duos backing band. 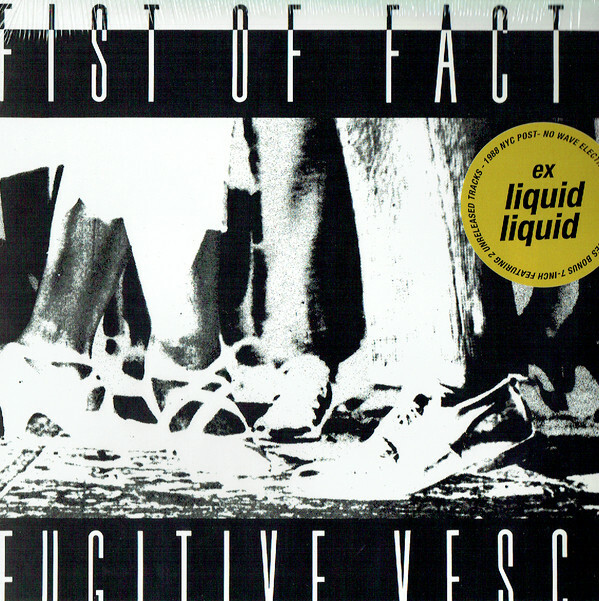 Fist Of Facts contributors included Mark Cunningham from Mars, Felice Rosser, Genevieve De Monvel Boutet, Carlos Vivanco, Scott Hartley from the Liquids and a whole host of others. Fist of Facts expand the natural groove that Liquid Liquid established over their quick career, with a strong political message combined with abstract dub soundscapes. Fugitive Vesco will be released on LP + 7 / Digital on January 11th, 2019.